Jon Gordon, an international best selling author and speaker, joined The Yogi Roth Show to start the New Year. For the last two years, he and Yogi have met to share their ‘word of the year’ on this podcast. For Jon, 2019 is about ‘Expand’ and for Yogi, it’s ‘Create.’ Jon has purposely had a ‘word of the year’ since 2001 and Yogi since 2013. Jon also dives into the concept of turning ‘hopes into habits,’ what has made Clemson so special under Coach Dabo Swinney and many more principles that ... See More will cultivate thoughts around your New Year. Listen, share and enjoy one of the world's greatest though leaders message around hope, inspiration, leadership and positivity. To listen to Jon share his word of 2018, re-visit this conversation https://www.yogiroth.com/pod/jon-gordon-seek-create-impossible-2018/. Follow @JonGordon11 on all social media or visit www.JonGordon.com, as well join his new mission around positivity, https://positivebrands.com/. 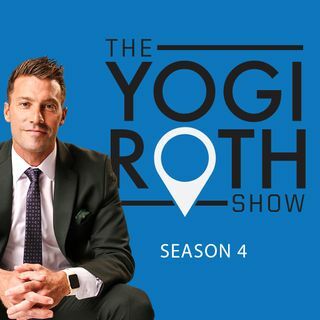 For more episodes of The Yogi Roth Show visit https://www.yogiroth.com/podcast/ or follow @YogiRoth on all social media.